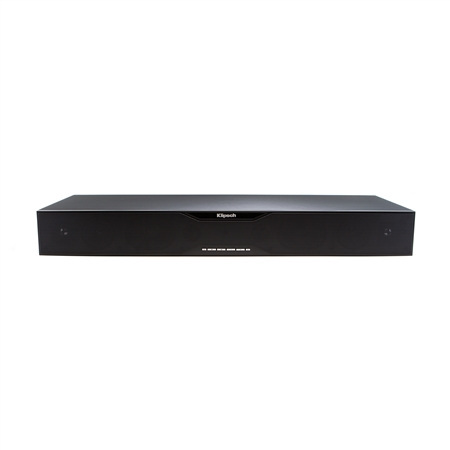 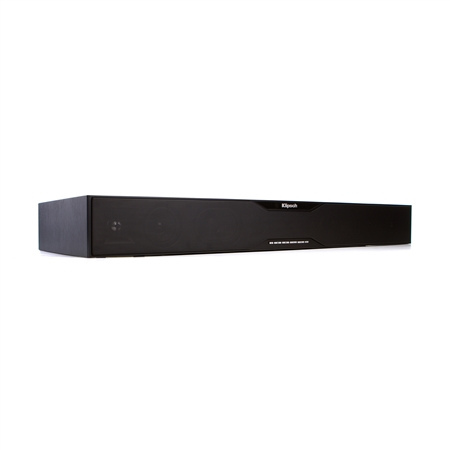 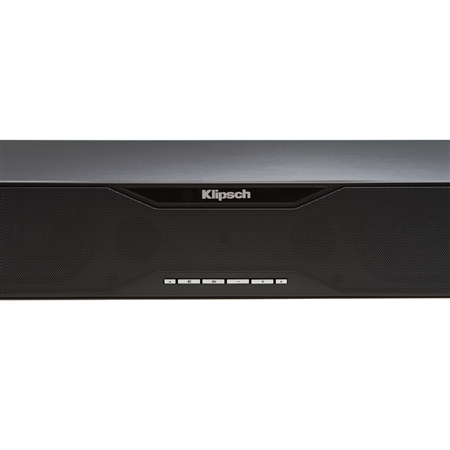 The SB 120 TV sound system is a more compact alternative to both multiple speaker and conventional soundbar systems, designed as a single cabinet, single connection, sound solution that rests underneath your TV on a stand, shelf, dresser or countertop*. 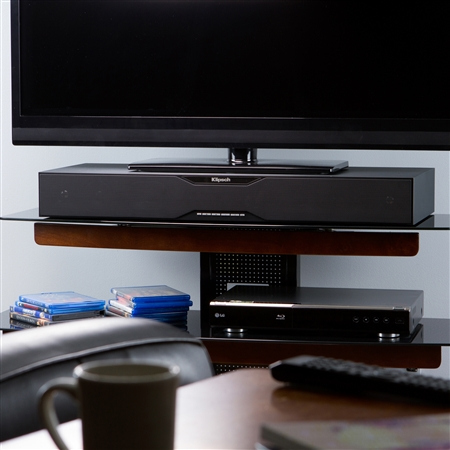 Built to redefine the home theater experience, the SB 120 combines legendary Klipsch horn-loaded technology with separate midrange drivers and dual subwoofers for dynamic, full-range sound. 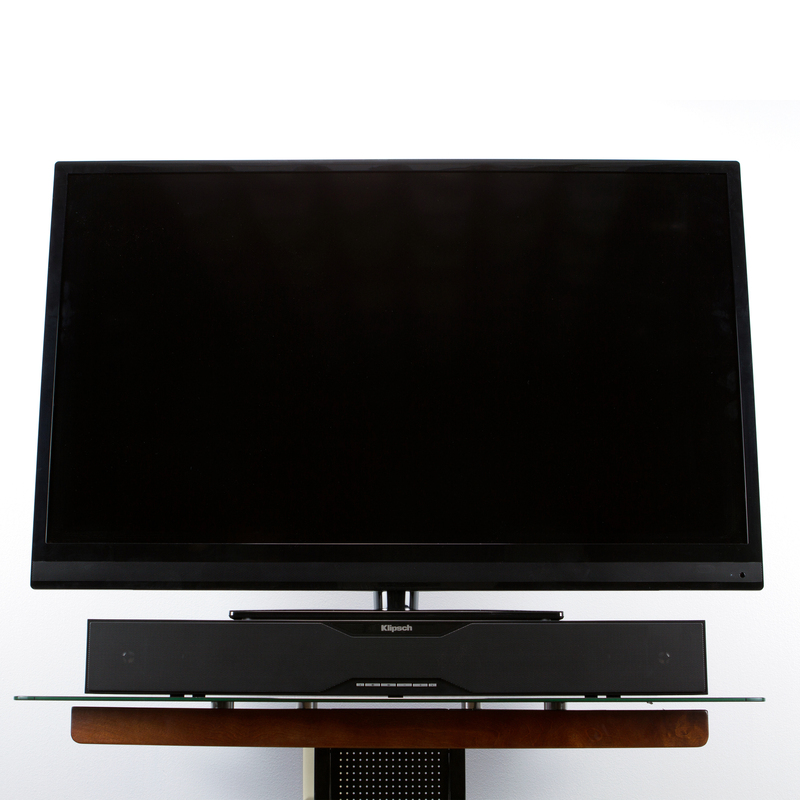 TV shows, movies and gaming all sound much more lifelike with extended dialogue clarity. 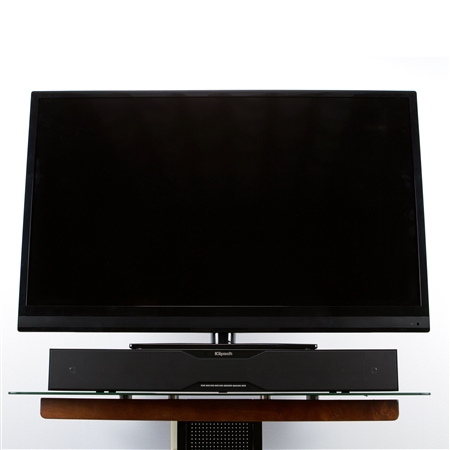 Rests under most flat-panel TV’s with placement flexibility on stands, cabinets, countertops, etc. 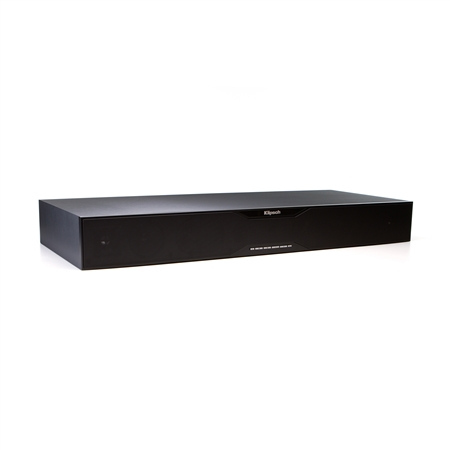 The SB 120 includes Bluetooth wireless technology, allowing it to double as a premium music playback device with simple wireless streaming of your favorite music from your compatible stored music devices. 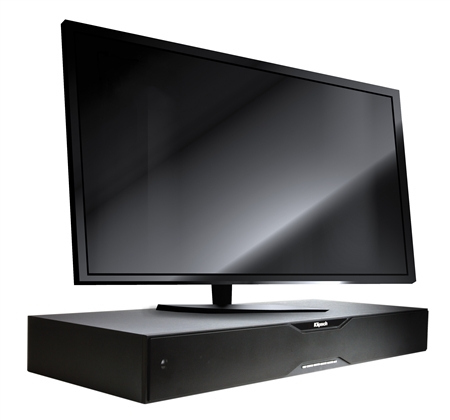 Dolby® Digital decoding assures for a quick, simple setup to almost any flat-panel TV. 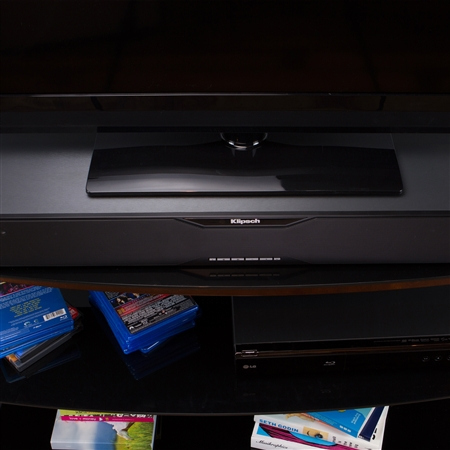 Ease-of-use is maintained with an included remote control or uncomplicated programmability to most existing TV remotes. 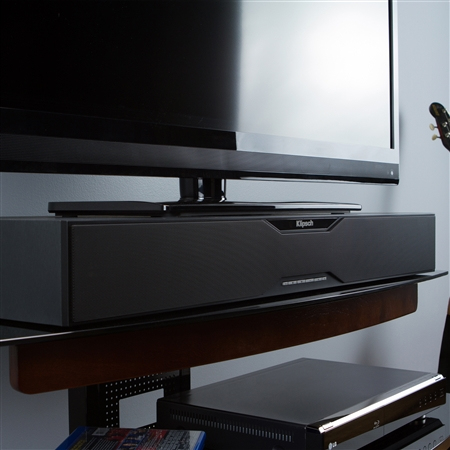 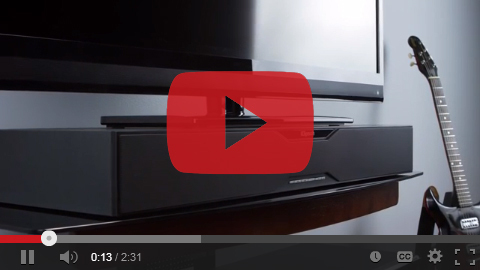 This helpful video guide will assist you in getting your new SB 120 TV sound system up and running.